One of the important things to know about fixing bad credit is that it takes time and effort. There isn’t a way to quickly fix your credit score when something happens such as having a loan go into collection or starting to miss credit card payment dates. There is advice out there that there are quick fixes but sadly this just isn’t so. The truth is that to get to a good credit score it takes responsible management of debt over a long period of time. 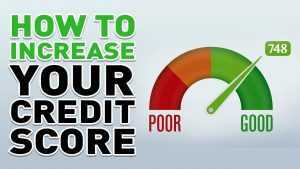 If you haven’t been doing that then there steps you can take which will lead to credit score improvement. This is a guide on how to improve your credit score which will improve your life in many ways such as qualifying for better interest rates and credit cards. The first thing you should do is check your credit reports. All three credit reporting agencies are required by law to give you access to your credit report once a year. You should do so and then carefully check them over for any errors. Errors on credit reports are anything but a rare occurrence and they can bring a credit score down. You should check to make sure that there are no erroneous late payments being listed and that the amount you owe on each debt is being listed correctly. If you do spot errors you need to file a dispute with that credit bureau. things that affects your credit score. Some banks and credit card debt companies allow you to set up payment reminders through them. After taking care of this you should work to reduce the amount of money you owe. Develop a payment plan to get credit cards and loans paid off. You can choose to either get rid of the smallest debts first, so you feel you are making headway, or attack the debt which has the highest interest rates first which is financially the better way to go. Your payment history makes up 35% of your FICO credit score so it has a huge effect. You need to get used to paying your bills on time and never have any delinquent payments, even by a day. If you do have any missed payments you need to get them caught up asap and then stay current. Paying off a collection account won’t remove it from your report as it will stay on for a period of seven years. If you can’t get caught up then you should contact your creditors to see if you can come to an agreement or you can schedule a visit with a reputable credit counselor. The next big category making up your FICO score is the amount of money you owe, weighing in at 30%. High utilization rates and debt amounts negatively impact your score. How to improve your credit score here is to pay off your debts, not just shuffle them around. You also shouldn’t close unused credit cards as that will likely increase your utilization rate. It is also better to increase your available credit on existing credit cards rather than open new ones. How long you’ve had a history of credit is important to your score. You shouldn’t ever open a lot of credit in a short time as that reduces the number of years of your overall credit history. It brings down the average age of your credit history when you open a number of new accounts in a short span of time. Does Getting a Loan Effect Your Credit Score? If you do need to shop for a new loan you should do it all at once as otherwise the inquiries will count separately rather than all together. Another consideration in this regard is that some people mistakenly think checking their own credit report will bring their score down. Checking your credit reports has no impact on your FICO score as long as you check it directly with one of the three credit bureaus. Having a mix of different types of debt has a good impact on your credit score. However, you should never open a new loan just because of this as it likely won’t help. You should have credit cards and strive to pay them in full every single month when you get the statements. Lenders want to see you are responsible with debt and this is a good way of showing that to them.